Dr. Rao originally received his doctor of Pharmacy, with high honors, from Rutgers University. He completed an internship with the FDA and advanced as a clinical director in the long term care industry. Dr. Rao's ultimate passion to serve and care for patients led him back to Rutgers for his medical degree. He completed his residency at Robert Wood Johnson University Hospital while continuing to serve as a community pharmacist. 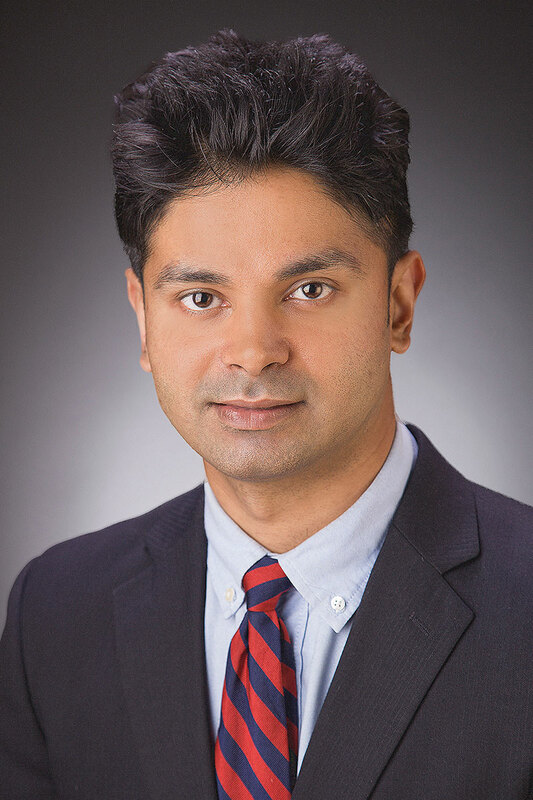 As a resident, Dr. Rao contributed to scientific research that culminated in several peer reviewed journal publications, including articles he authored about breast cancer and ablation for brain tumors. His passion for non-invasive radiosurgical modalities led him to complete a certification course in Stereotactic Body Radiation Therapy (SBRT) at the University of Texas Southwestern Medical Center. He was also awarded a grant by the American Brachytherapy Society to participate in low dose rate (LDR) prostate implants. After all his education and training with the latest technologies, Dr. Rao is excited about bringing his training and experience to NGPG Radiation Oncology. "It is truly an honor to join such a group of highly regarded and respected physicians at Georgia’s #1 Hospital, Northeast Georgia Medical Center,” says Dr. Rao. “I am excited about utilizing state-of-art technology, like 4DCT and TrueBeam, which enables our team to precisely target tumors with minimal margins and treatment time. Our passion and technical expertise will give our patients the most desirable outcomes and experience." NGPG Radiation Oncology is a group of board certified specialty professionals who provide patients with the latest and most advanced radiation therapy options at three convenient locations: Braselton, Gainesville and Toccoa. Call 770-219-1824 to schedule an appointment, or visit www.ngpg.org/radiation-oncology for more information.